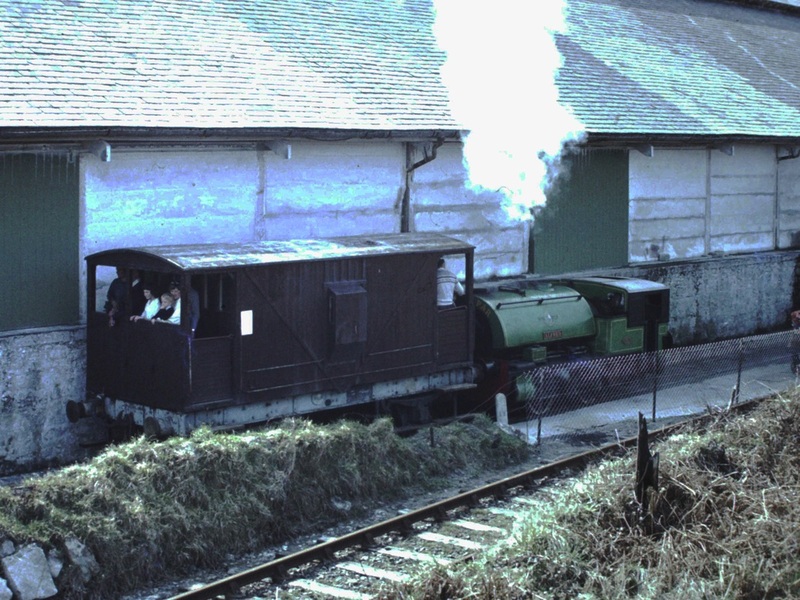 This was, of course, the wooden staff for 'One Engine in Steam working between Goonbarrow Junction and Carbean/ Gunheath. 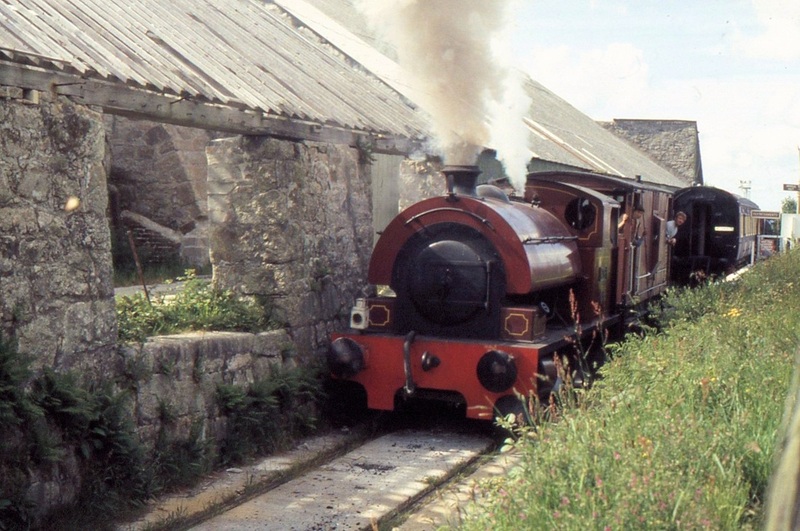 The line was very lightly built and was restricted to the smallest locomotives. 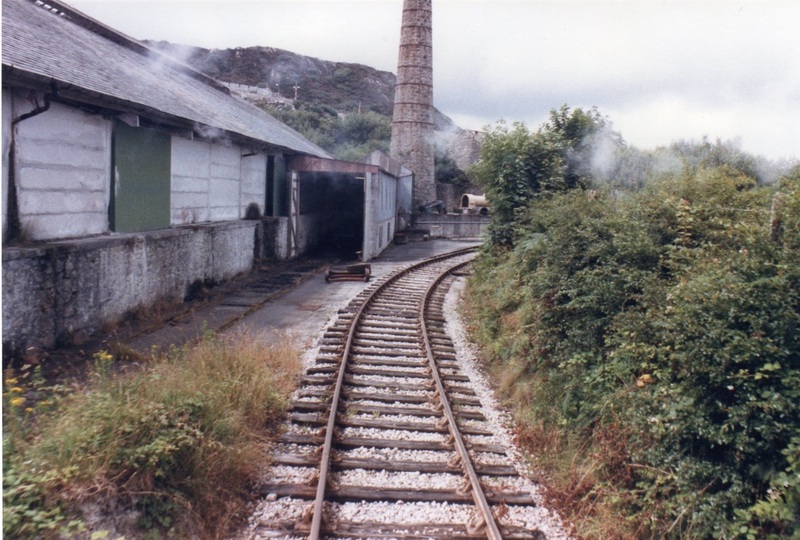 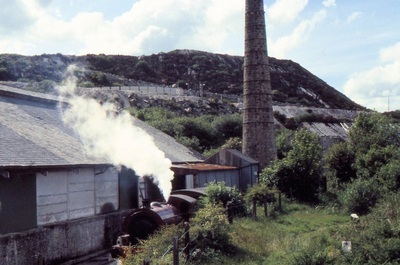 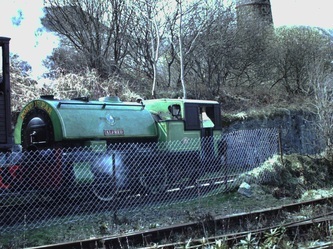 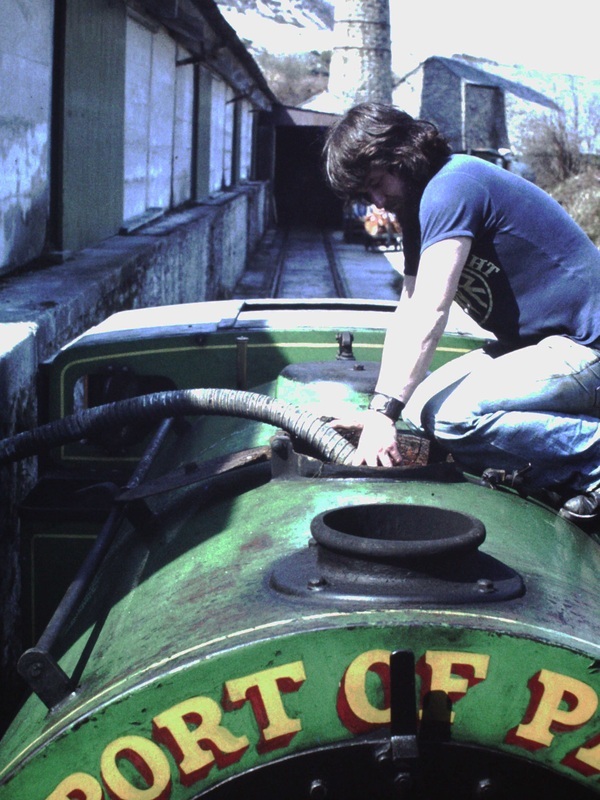 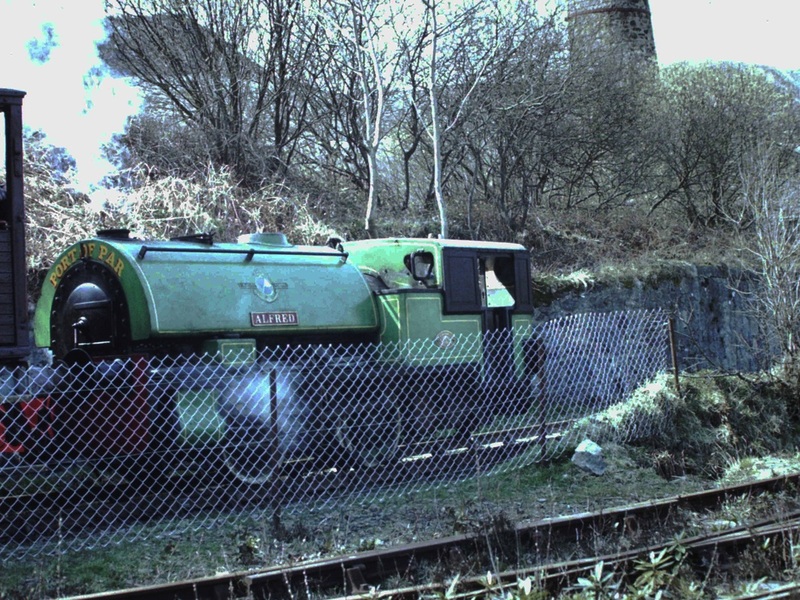 The Cornwall Minerals Railway used tiny 0-6-0 saddle tanks, often working in pairs. 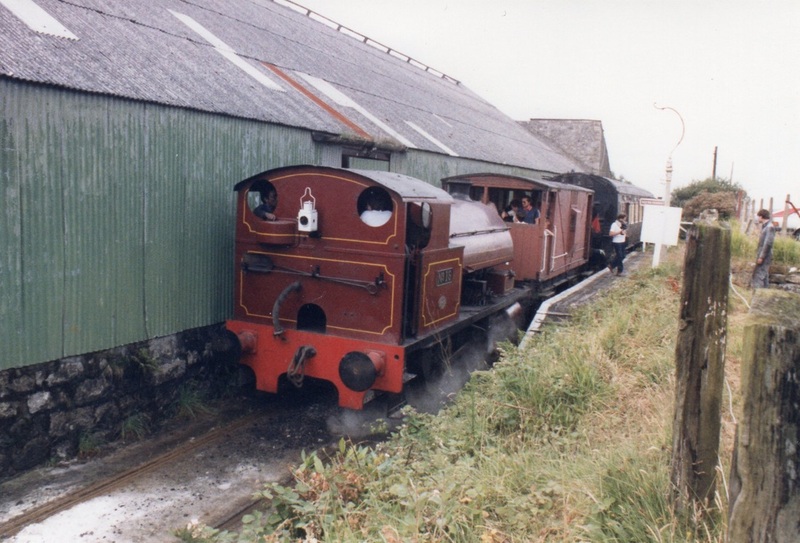 There was an engine shed at Stenalees. 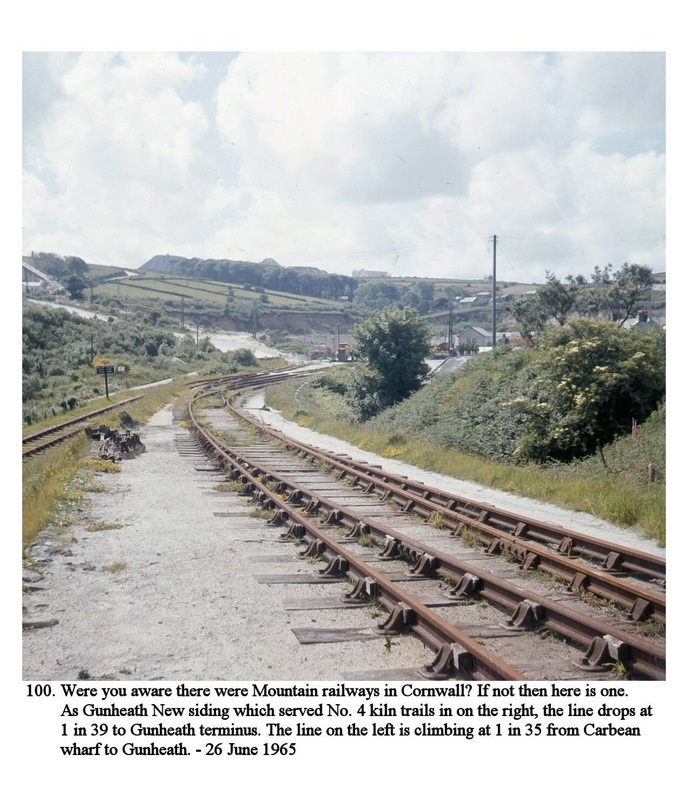 Goonbarrow Junction got its name when the branch opened in 1893: previous to that there was a box there called Rosevear Siding. 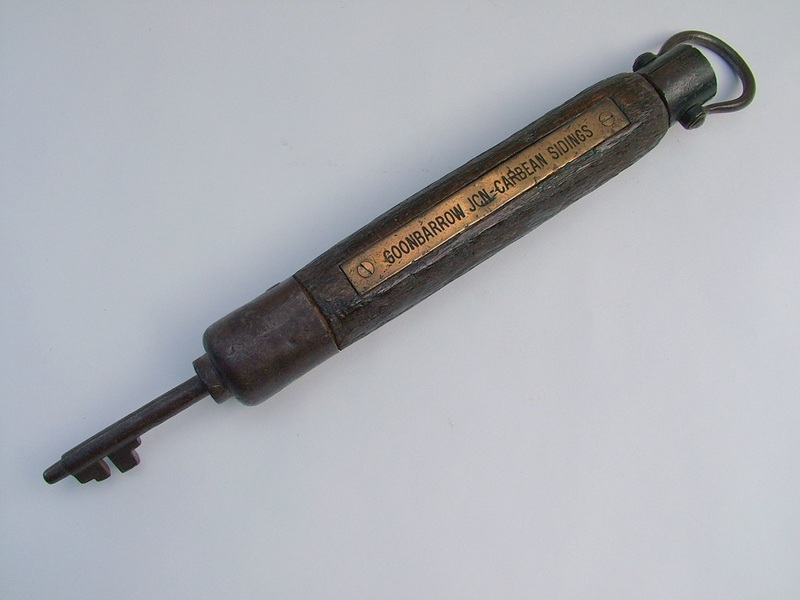 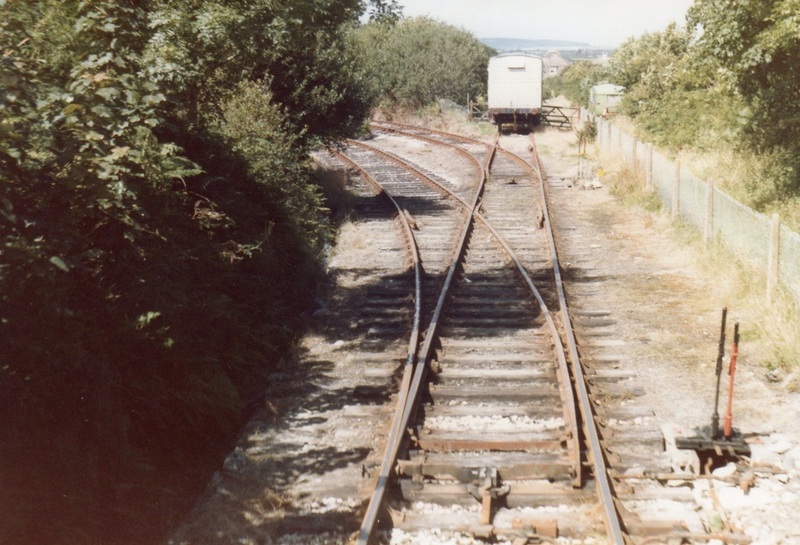 A small box (13 levers) called Goonbarrow Junction opened in 1893 and was replaced by the present box in 1910. The line was worked in later years by Hawksworth 1600 class panniers and a pair of these were shedded at SBZ for this purpose, until 1962. 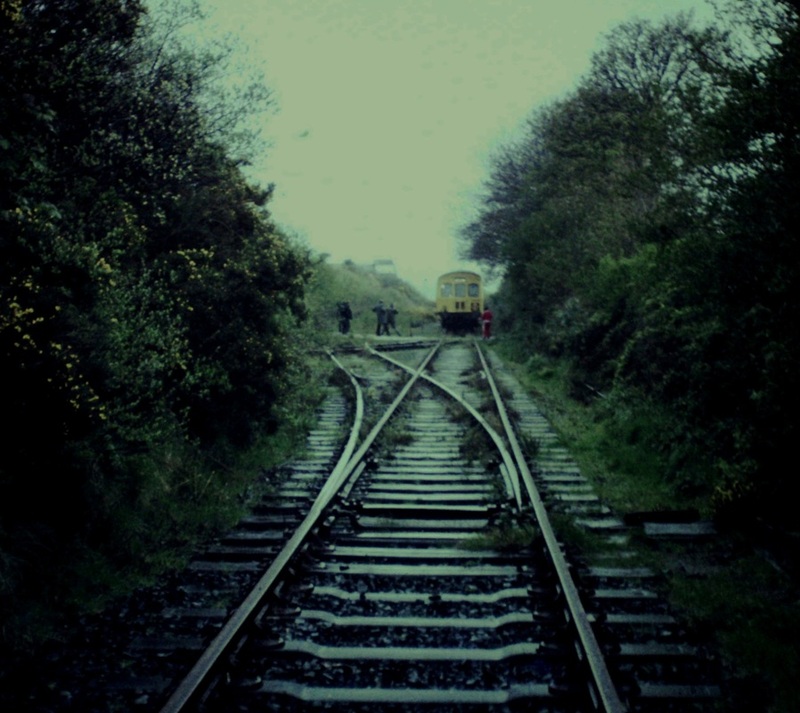 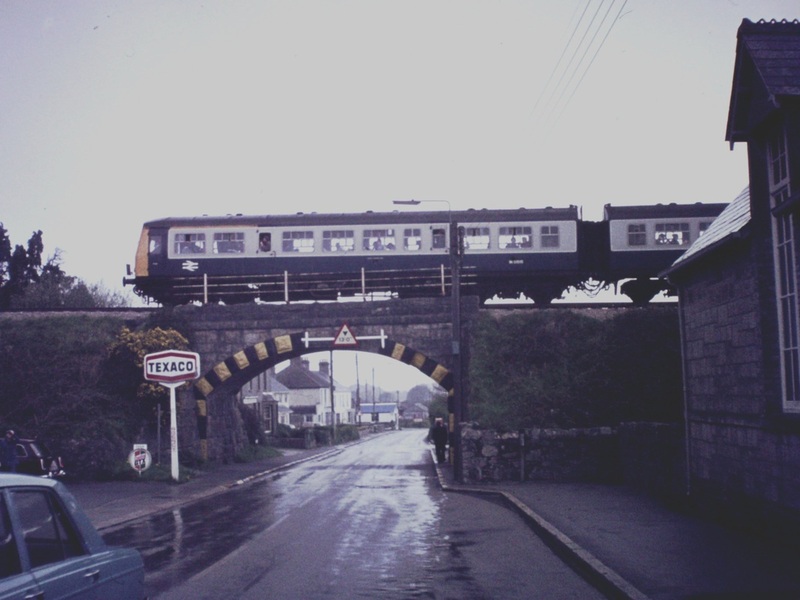 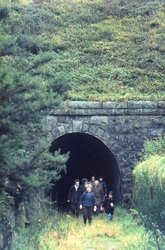 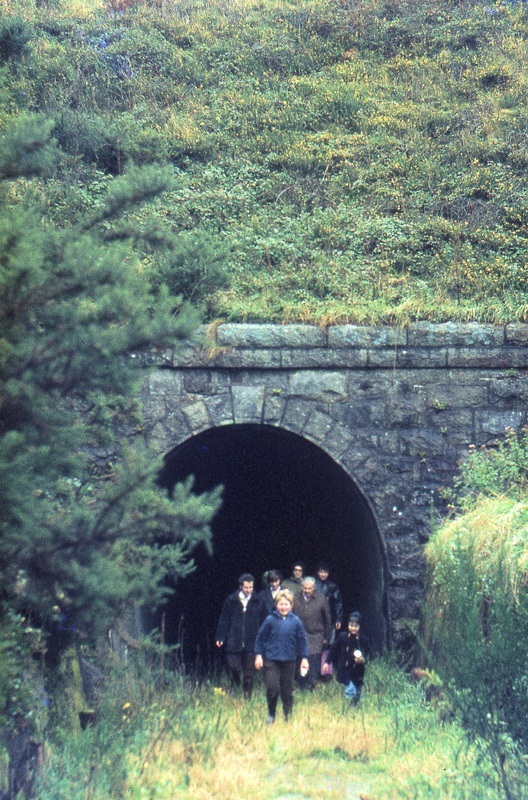 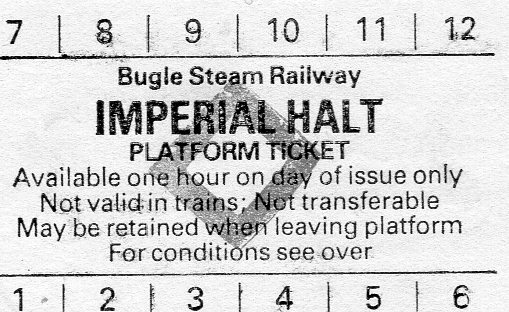 In October 1964, the double line from Goonbarrow to Bugle was taken out of use and Bugle box became Bugle GF. 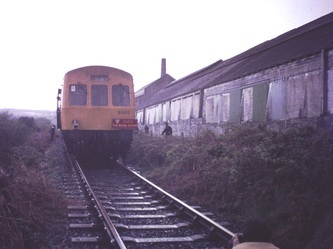 At the same time, wooden staff working ceased on the Goonbarrow and Carbis branches. 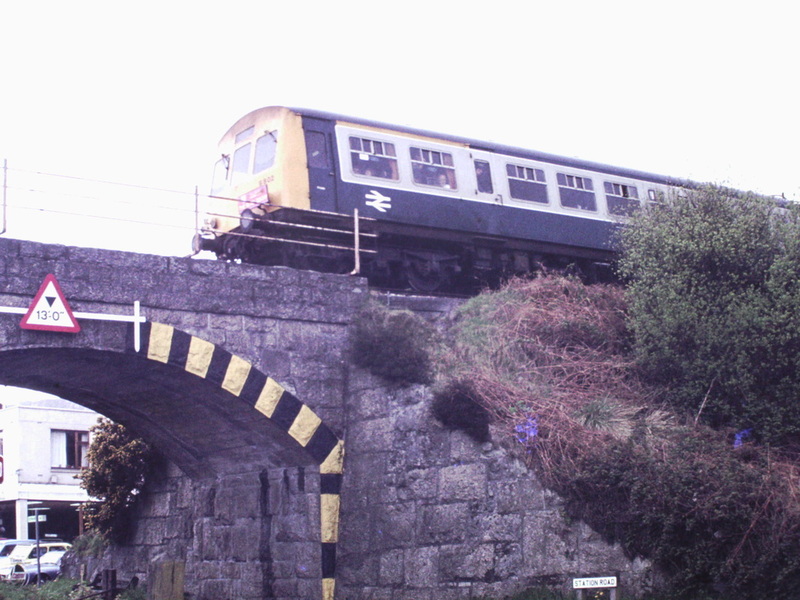 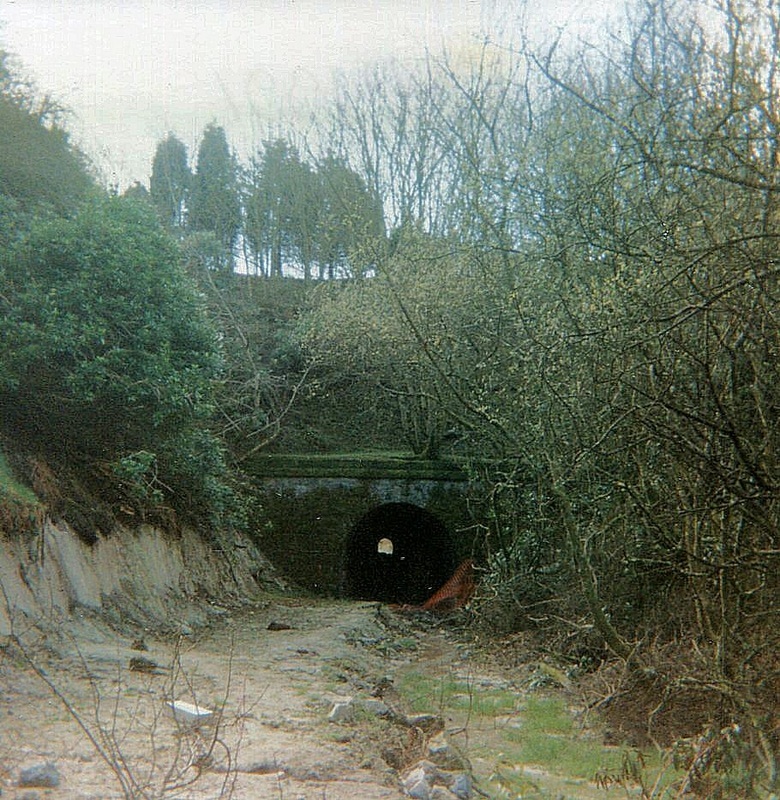 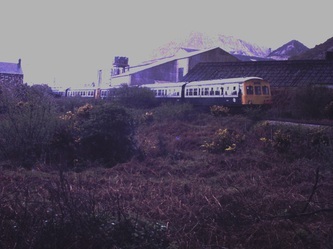 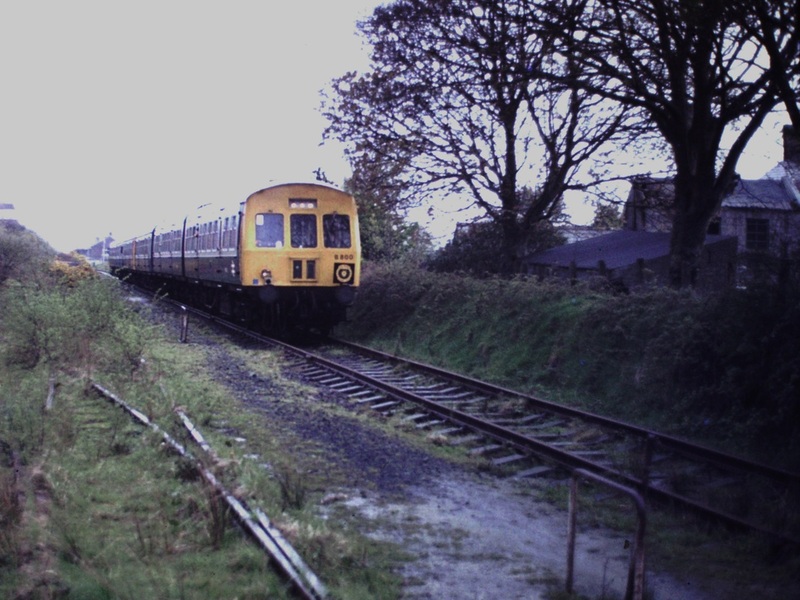 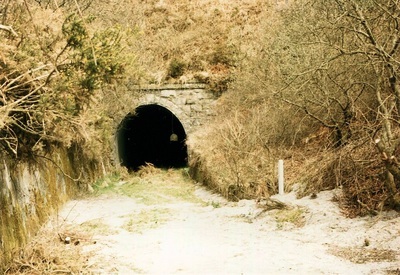 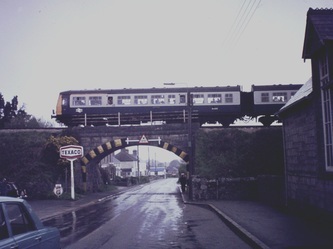 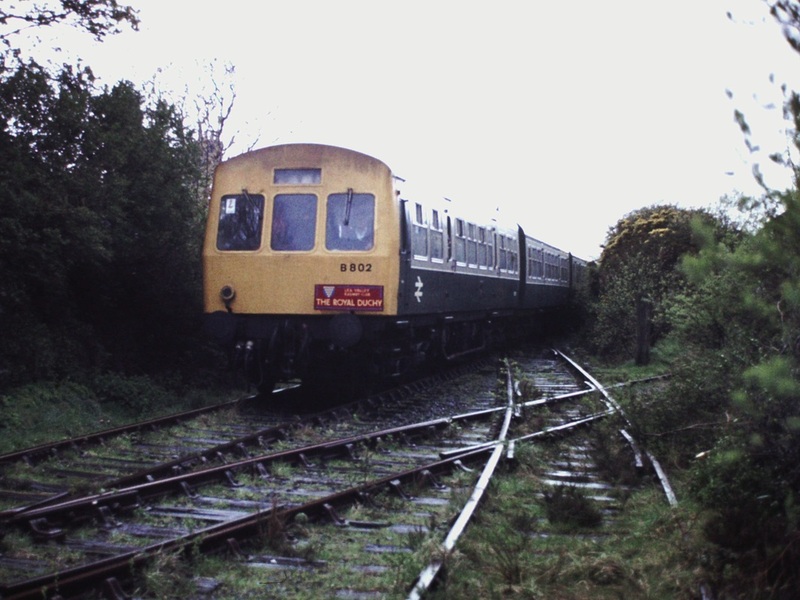 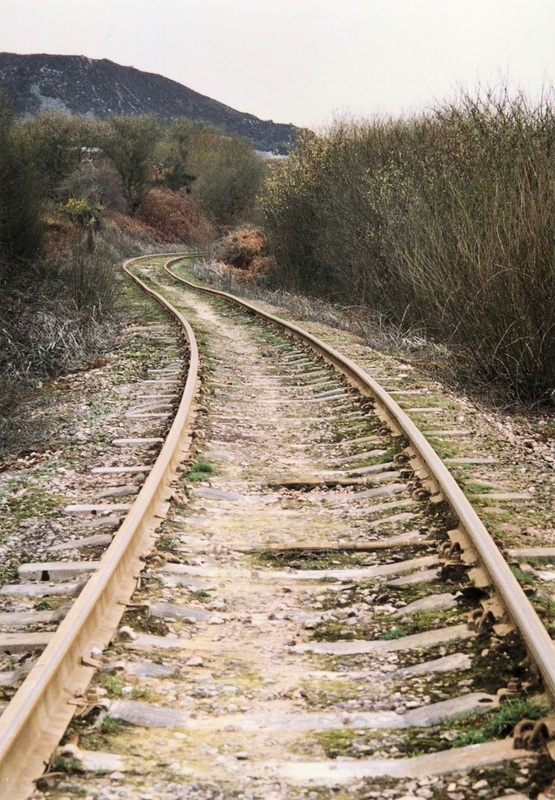 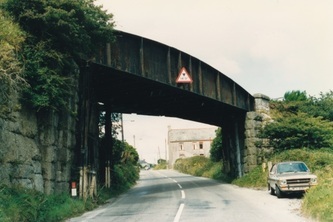 Both lines were now worked as long sidings (regulation C2 working) and the Goonbarrow branch lifted beyond New Caudledown. 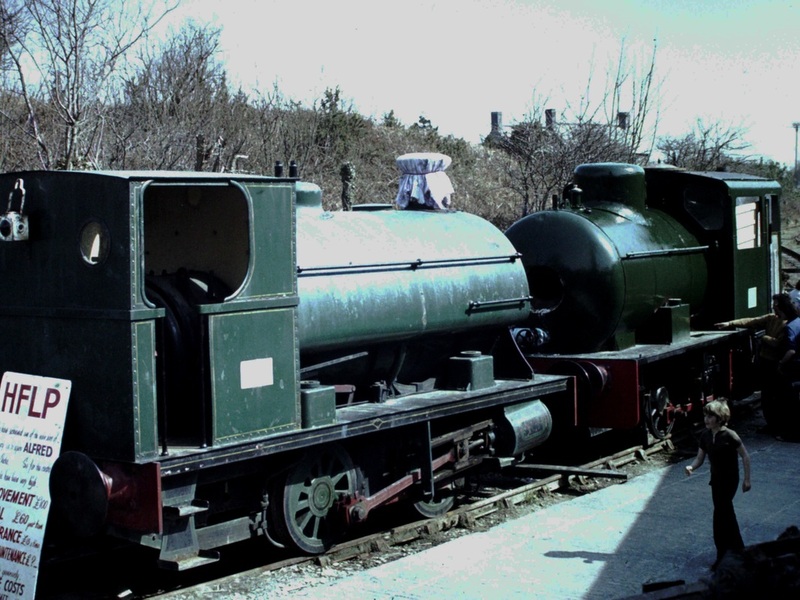 A few shots of the Bugle Steam Railway kindly brought to us by Alan Harris for which many thanks. 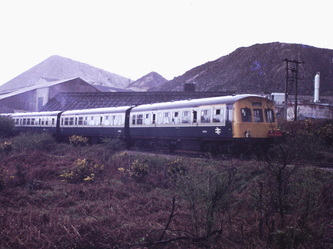 From the Maurice Dart CD1 Clay Lines with his permission. 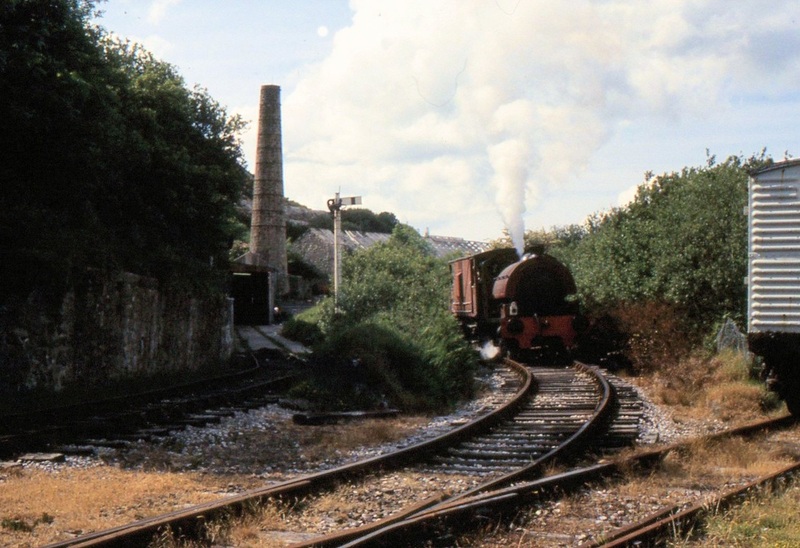 The CD is available from Wheal Martyn Museum see bottom of home page. 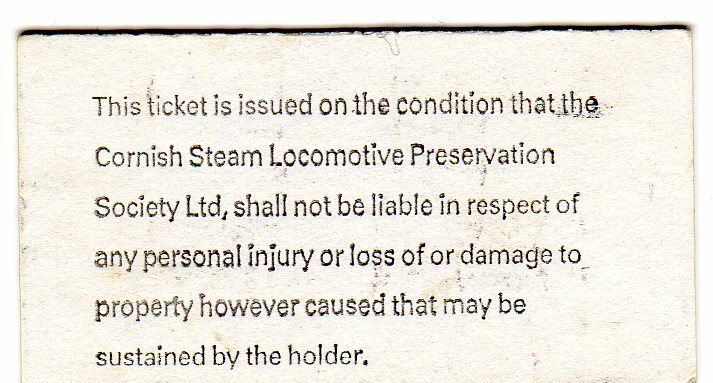 From the Maurice Dart CD1 Clay Lines with his permission. 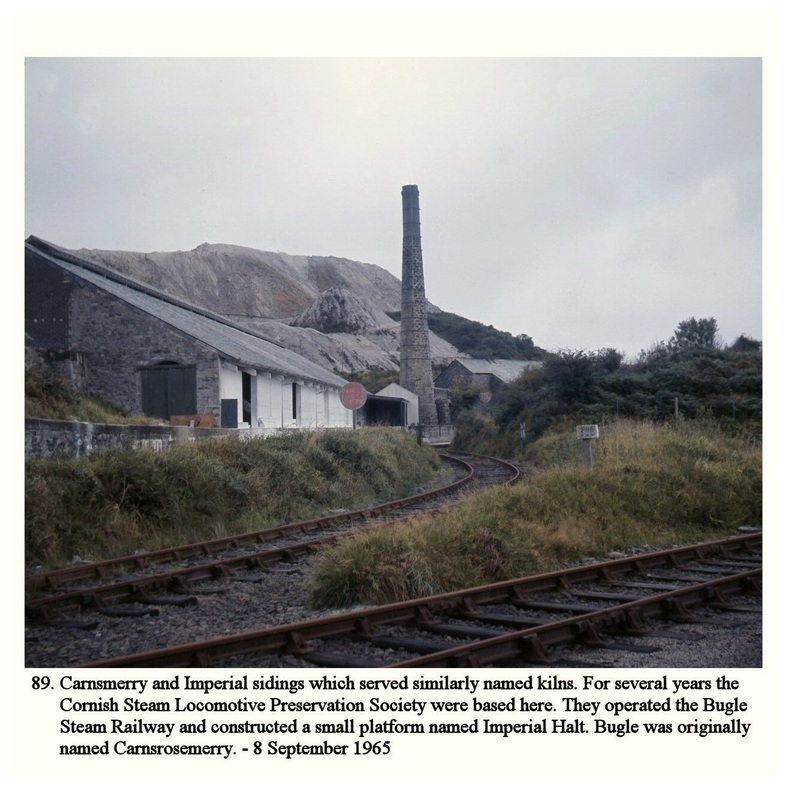 The CD is available from Wheal Martyn Museum see bottom of home page. This picture is at the extreme end of the branch where a reversal was necessary down a steep incline to access Gunheath wharf.